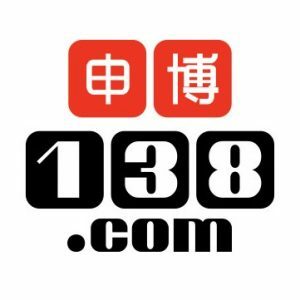 The 138.com online Sportsbook is probably best known as the sponsors of Watford FC – an association that has been in place for five seasons. But maybe you should get to know them for what they are, a bright colourful online bookmaker brimming with price and acca boosts, bonuses, 138 free bets and some great concessions including a £10 138.com free bet token for all new customers. New customers can collect up to £30 in 888 sport free bets upon placement of your first bet of just £10. Just make your first deposit of at least £10 using the 888sport promo code ‘30fb‘. Editor’s Opinion – bet365 are the world’s biggest online bookmakers and in our humble opinion one of the very best there is. If you haven’t yet joined the 20 million other bet365 customers, then sign-up today and see what you’ve been missing! All new bet365 customers can enjoy up to £100 in Bet Credits for new customers* to get you started along with many other ongoing excellent bet365 promotions for existing customers. Betfair invented the ground breaking betting exchange back in 2000 and have since grown massively to become a leading player in online sports betting. They have more recently added a traditional Sportsbook giving punters much more betting options. BetStars are the latest arm of the Stars group which began life with the colossal online poker site, PokerStars, which hands out millions in prize-money every day. Formerly known as Victor Chandler and for a short time as BetVC, BetVictor is a ground breaking bookmaker who were the first to give punters tax-free betting when making the bold decision to take its operations to Gibraltar. That was back in the days of ‘telephone betting’, BetVictor now run and operate a fantastic online sportsbook which very much puts the customer first. BoyleSports is a very concise easy to use and value-laden online sportsbook. It could be considered to be a well-kept secret although shrewd punters seeking extra BoyleSports betting markets and outstanding value do know all about it. Join BoyleSports you claim your welcome offer of a £25 (or Euro/Dollars) BoyleSports free bets bundle. Coral bookmakers are one of the most recognisable High Street bookmaking brands in the UK. Established in 1926, they have been a major force in the British bookmaking landscape since the 1970’s and are a long-standing member of the ‘Big Three’ (alongside Ladbrokes and William Hill). *18+, New customers only. Min stake £5, Min Odds 1.50. Max Free Bet £30, T&C’s apply. NetBet is s bright and colourful online betting site that has been around since 2001. The NetBet free bets welcome offer gives all new customers a simple 50% matched first deposit bonus up to a maximum of £50 when you enter the NetBet promo code ‘WELCOME50′. As a new customer there are 3 x £10 William Hill free bets on offer. To qualify the new account holder must place a first time bet of £10 or more on a selection priced 1/2 (1.5) or more. It’s vital the William Hill promo code ‘C30′ is entered when opening a new account. Thereafter the William Hill free bets will be credited on the settlement of the qualifying bet.